"There are classic ballparks like Wrigley and Fenway, the two oldest in Major League Baseball, and then there are elaborate, new stadiums like Marlins Park in Miami and Target Field in Minneapolis. But no matter where you travel across the United States or whether you watch minor and major league action, there hundreds of fantastic ballparks to watch America’s favorite pastime. No matter the facility’s age, here are five of our favorites." 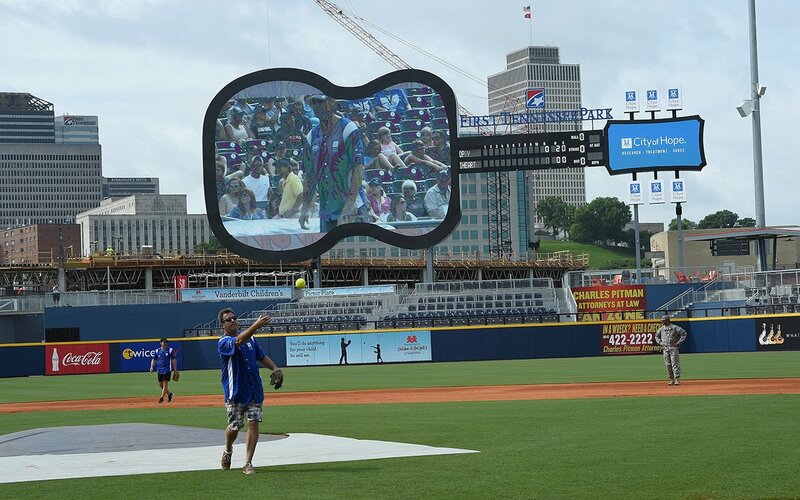 "Old stadiums got new life (and an attendance boost) this year when First Tennessee Park (Nashville, Tenn., Sounds), Joe Becker Stadium (Joplin, Mo., Blasters), and Monongalia County Ballpark (Granville, W. Va., Black Bears), all of the minor leagues, unveiled their new parks."